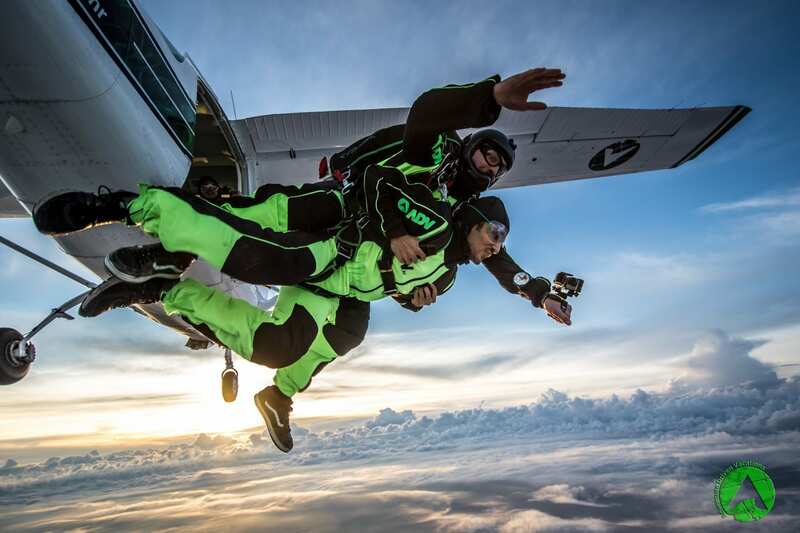 Tandem skydive in the sunset. Magic! 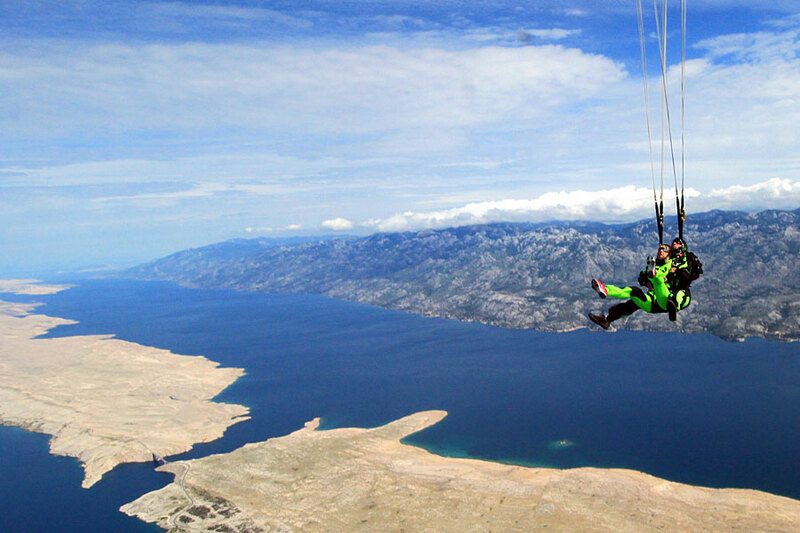 You will be tandem skydiving above sea with the view on island Pag and mountain Velebit. Landing is on the beach drop zone located in the middle of two National parks. 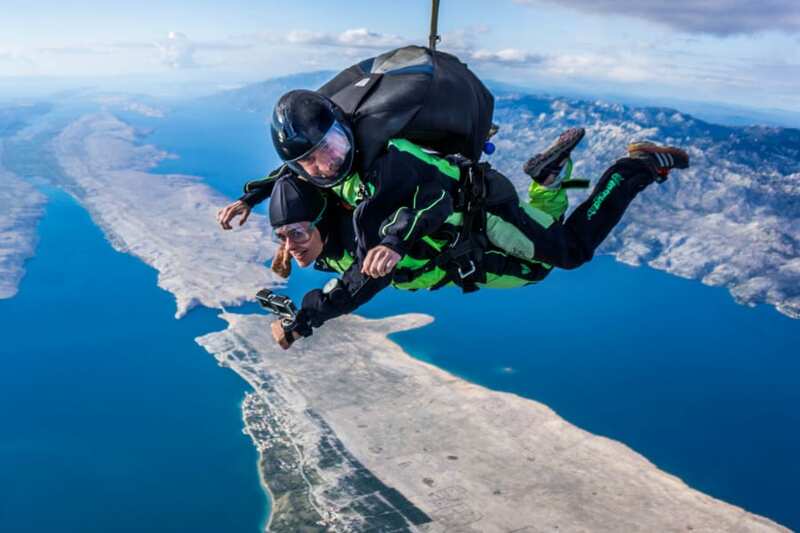 Skydiving in Zadar, Croatia. What can I expect? 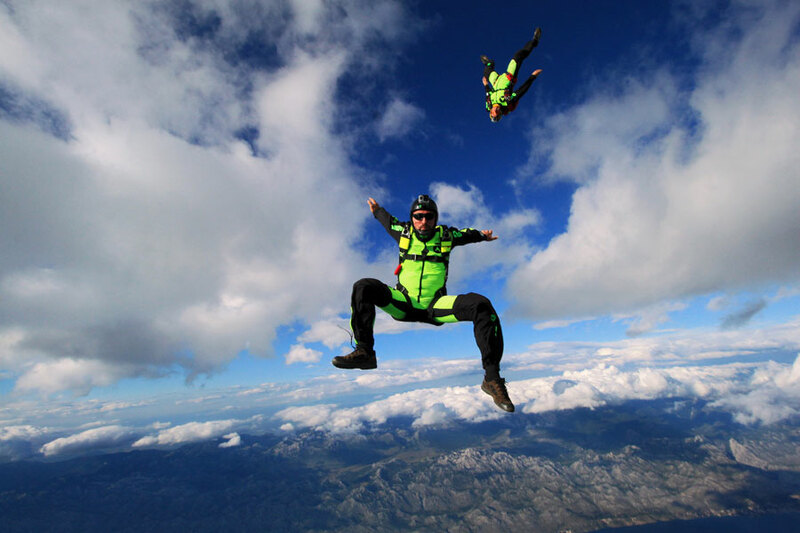 Tandem skydiving with ADV in Zadar is top rated outdoor attraction in Croatia. The views while free falling in the middle of two National parks are simply magical. 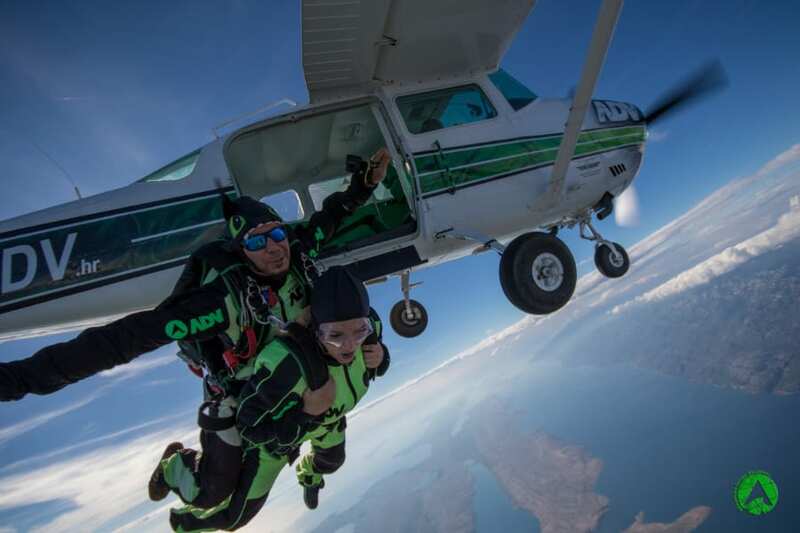 Skydiving in Croatia with ADV will be unique experience accompanied with professional and friendly instructors which will guide you through the process in the way that you will forget all your fears, if there are any. Remember the day when you made your first baby steps? Of course not, but you will surely remember the moment you step out of our airplane for the rest of your life. 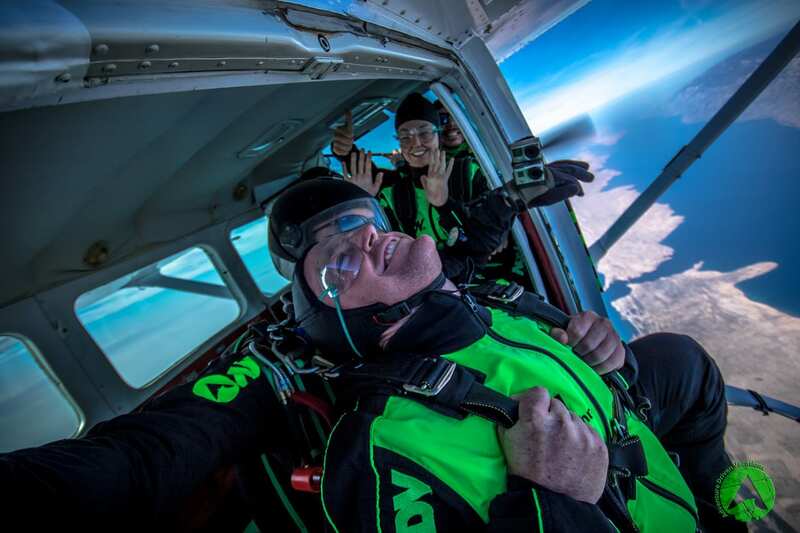 Not only is this a special moment for you, but we at ADV also feel very privileged to be the ones who can share the experience of your first tandem jump in Zadar. 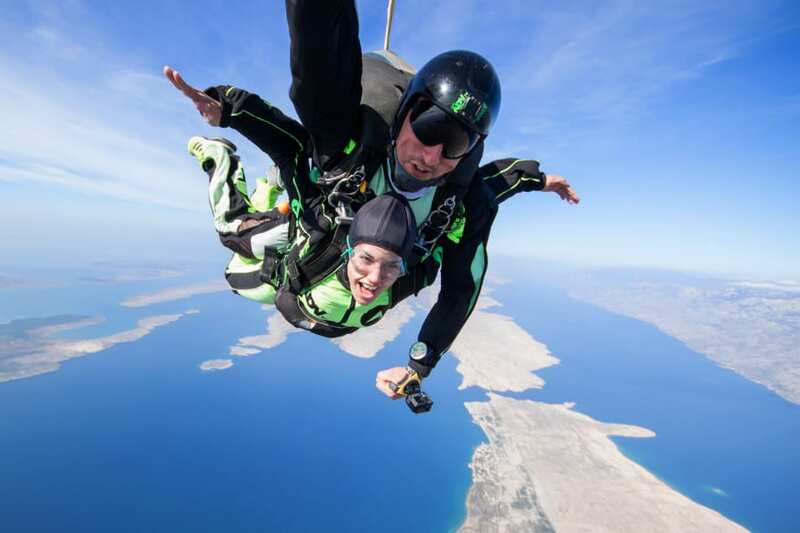 Before your first skydiving experience we will start off with a detailed safety briefing, where all of your questions will be answered and the whole procedure of your tandem jump will be explained in detail. After that, we'll board our plane and get ready for skydiving Zadar. 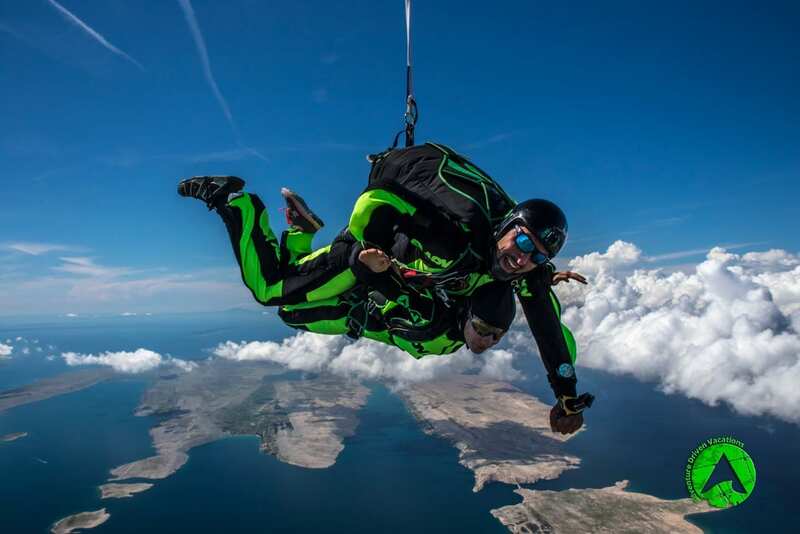 Your instructors from the skydiving Zadar team will be your silent partner, allowing you to have full control of the parachute controls or if you wish, you can just lay back and enjoy the ride. You may actually forget that your skydiving instructor is there as you will be weightless during free fall. How high? How fast? What do we do in the air? After a beautiful 20 minute panoramic flight above the National parks Kornati and Paklenica, we will reach our skydiving altitude. We will jump from as high up as 3500 meters AGL (above ground level) and free falling at speeds of 200 – 220 kph for up to 45 seconds. 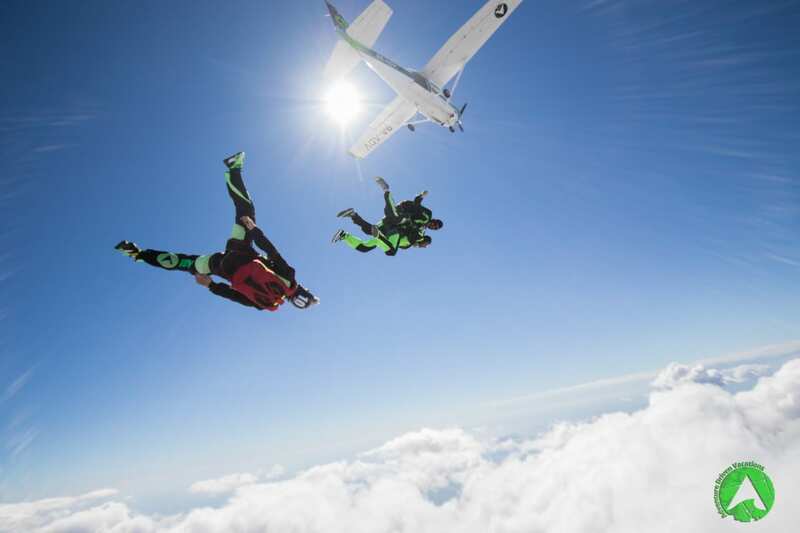 While we free ride the wind, if you're up for it, we can do controlled canopy turns, speed diving and burn up the sky. Then, with a quick pull of the ripcord, we’ll enjoy a quiet and peaceful 5 – 7 minute parachute training flight. As we do so, you’ll learn about equipment safety, free fall body position, canopy control and landing patterns, under (literally) the watchful eye of your tandem skydiving instructor. Well, actually it can. If you book on time you can experience sunset skydiving which is considered to be the ‘’crème de la crème‘’ of all skydiving jumps. During his stay in the City of Zadar, the great Alfred Hitchcock was quoted as saying: “The sunset of Zadar is the world’s most beautiful and incomparably better than in Key West, Florida”’ so now you know that you’re in for a very special treat! If you are close to Croatia's capital Zagreb, contact us for Tandem skydiving in Zagreb. We are waiting for you at our "continental" ADV skydiving drop zone. This is one of the most scenic drop zones in the World. 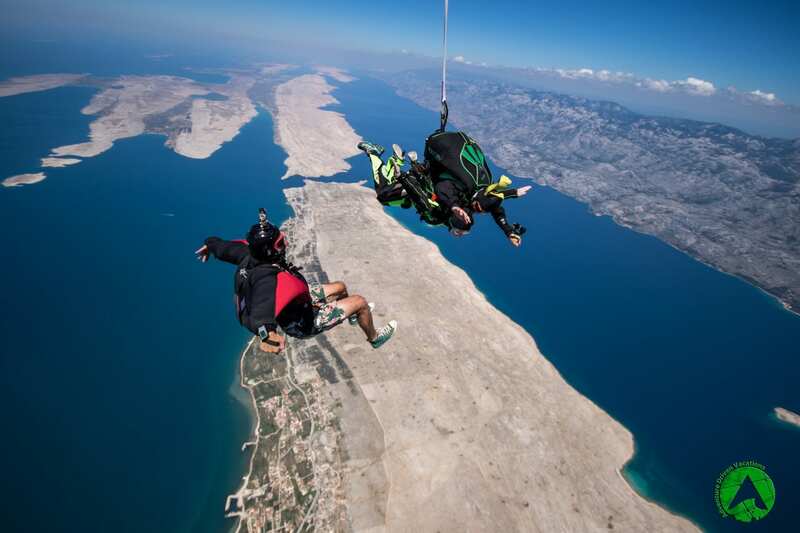 We are skydiving above the sea close to mountain Velebit and in the middle of two National parks: Kornati and Paklenica. You’re going to have the time of your life in Zadar, Croatia. 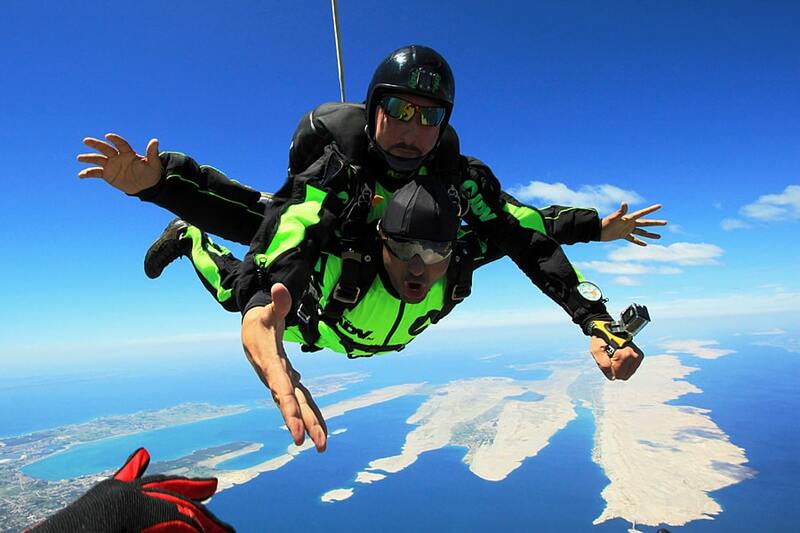 First skydiving jump is only one, remember it and share it with your friends and family. We take a really special care about video and photo editing of your first jump to create memories that you will never forget. Take a look at our YouTube Channel. We use GoPro 6 Black for video and Canon DSLR for high quality photos. All video options are pro edited with music. Handy Camera (Video) 49 EUR - 1st person perspective, filmed from the hand of your Tandem Skydiving Instructor by GoPro 6 Black. It records you on the ground before your flight, sequences in the plane, free fall and canopy flight. Great value! Skydiving Camera (Video and Photos) 100 EUR- 2nd person perspective, your personal skydiving cameraman jumps with you. He will be flying with you to capture both video and still photography. This option captures beautiful scenery and it is great to see someone free falling with you. Amazing memories! Premium Camera (Video and Photos) 119 EUR - This option combines all possible camera angles we can do while skydiving: 1st and 2nd person perspective. This includes filming an interview with you on the ground before your flight, sequences in the plane, in free fall and your reaction when you land. This is the way to do it if possible, create memories that will last forever. 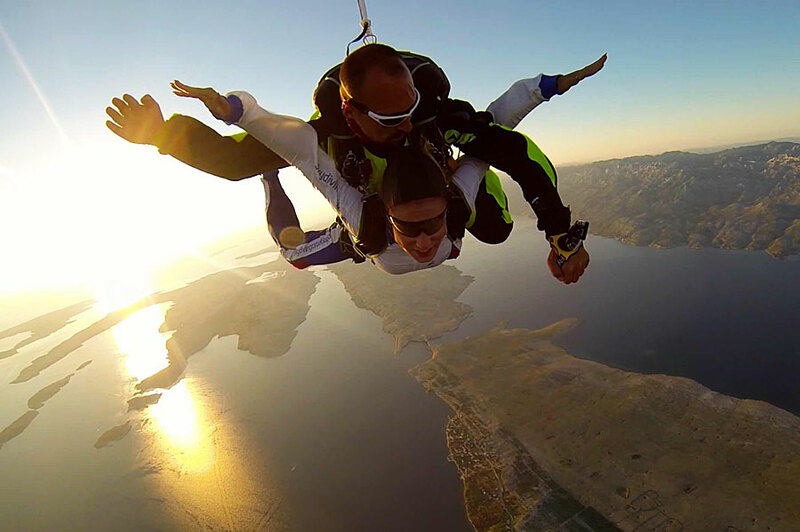 Spectators are more than welcome to watch skydiving in Zadar. Landing is on the beach so we recommend that you bring your favorite swimming suite.